This post is extensively long, I apologize in advance if you're not into that. 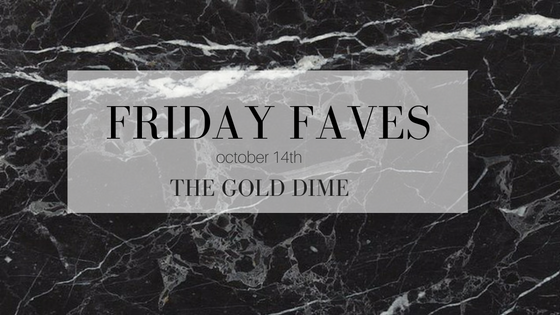 Covering all aspects, fashion, beauty, and lifestyle in this week's Friday Faves! It's honestly no surprise that I adore Jenna Lyons, Creative Director and President of J.Crew. She's inspired me in more ways than one, continues to kill it with her outfits, and has an incredible down to Earth personality given her status. I love her iconic glasses and the way she cuffs her sleeves (specific, but if you know her you know what I mean.) I don't think people really understand why I love her and this company so much. Especially because I don't dress 'preppy' like most people think when they think J.Crew. First off, it's how you style the clothing that really matters. 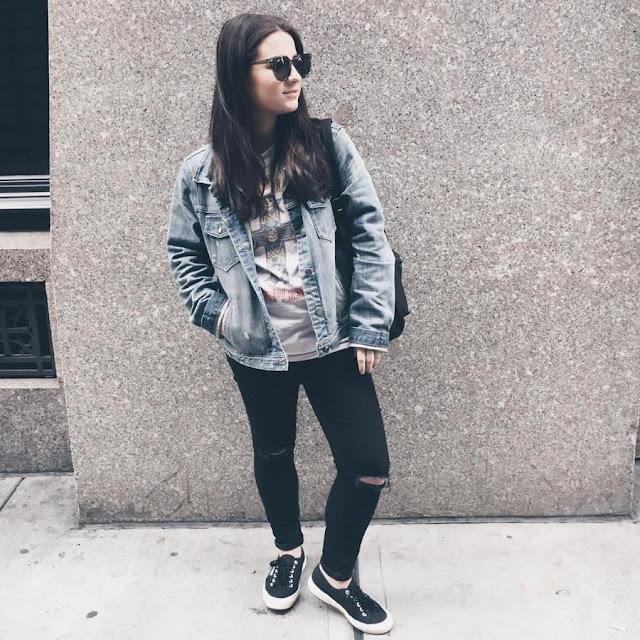 I wear outfits that are full head to toe 'crew, but the vibe is still grungy/street style. Secondly, this company was the reason I sparked an interest in fashion. I was intrigued how they styled models in the catalog; mixing two totally different prints and making it work, etc. In high school I was known for loving J.Crew and getting so excited about buying a new item. J.Crew has a certain 'personality' that makes me love it so much. Enough rambling, I love this video because I feel it truly emulates why I love Jenna and this brand. I'm getting comfortable with the fact I may work elsewhere when I'm out of college, but I will always have a special place for J.Crew. 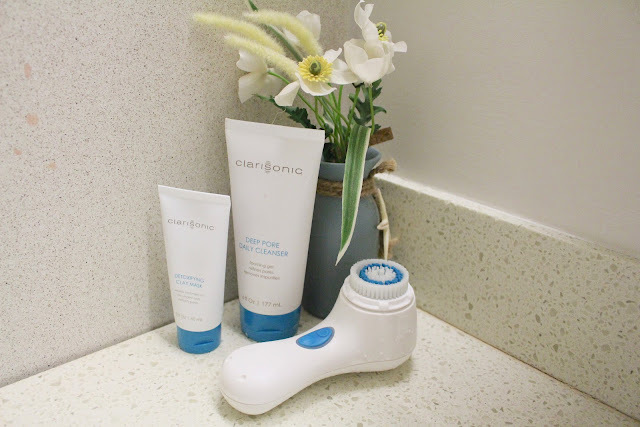 I'm so ecstatic to share that I was sent this new Mia 2 Clarisonic! I've used one previously, but this one has a different brush head specifically designed to help unclog pores. In edition to the brush + head, it came with a face mask and the pore clearing cleanser. I'm obsessed with the cleanser - it smells incredible. I use this cleanser when I really want a deep clean or I'm breaking out. In all honestly, I don't see a huge difference from using the face mask, but I do really love the fact they included this in the set. I first remove my makeup with a makeup remover wipe or coconut oil, then I wet the Clarisonic brush and I put my cleanser directly on the brush. While using I make sure to get the spots on my face that usually get congested, like my t-zone, and focus there or wherever I'm breaking out. I also make an effort to go under my chin and bit down my neck just to make sure I've completely gotten any left over makeup or dirt off my face. The brush turns off after a set amount of time (about a minute) then I rinse. As for the brush itself, my skin feels incredibly soft, smooth, and clean after using it! The brush head is deep cleansing but very gentle on my sensitive skin. I use the Clarisonic once every other day so I don't overdo it. Like I said previously, I've used the Mia 2 in the past, but this one definitely holds a charge longer (yay!). With the holidays coming up I think the Clarisonic is a great gift idea. Most people I know are hesitant to invest in it, but I can assure you it's so worth it for your skin! 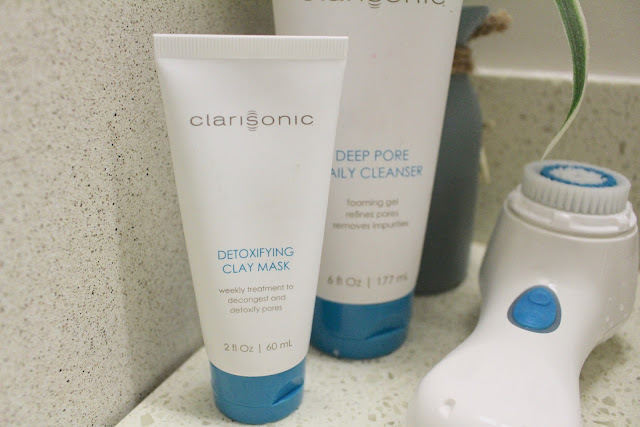 Use the code 'HERCAMPUS' for 15% off your order to Clarisonic - act fast, this code is only good until 10/31. 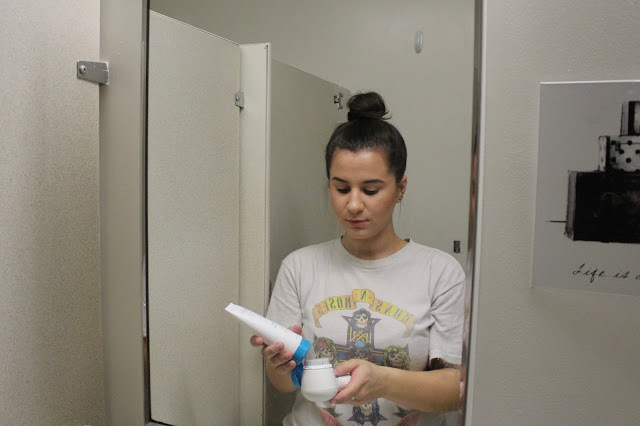 This is a sponsored post in partnership with Clarisonic and Her Campus Media. All words and opinions are my own! It's official, I don't wear anything except band tees and jeans. I love the effortless vibe it gives off (even if I don't know any songs by Guns n Roses) and it's so comfy obviously. I love it with jeans, under a flannel, a simple skirt, or layer them under tank tops or dresses. First off, how cute is this bottle? I was gifted this perfume when I went to the HerCampus College Fashion Week event a few weeks ago. 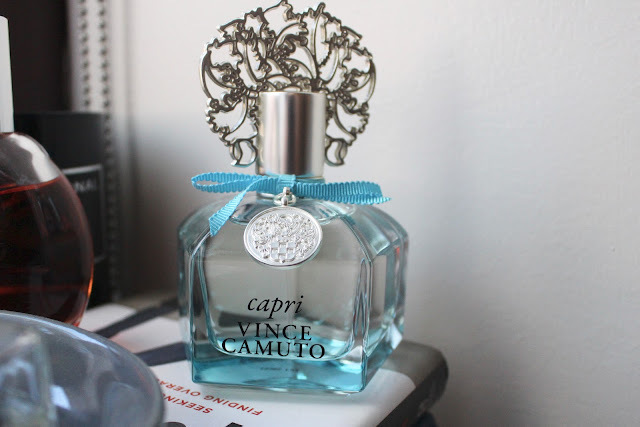 I'm usually into musky, 'manly' scents, but this one is light and fresh - perfect for everyday and any occasion. I've been getting really into my haircare routine lately after basically years of ignoring it. I've used hair products in the past, thinking that I had a routine, but now I tend to blow out my hair myself or I take more time to style it, things like that. This product here came in a sponsored box I got a few months ago but I found myself using it everyday now. 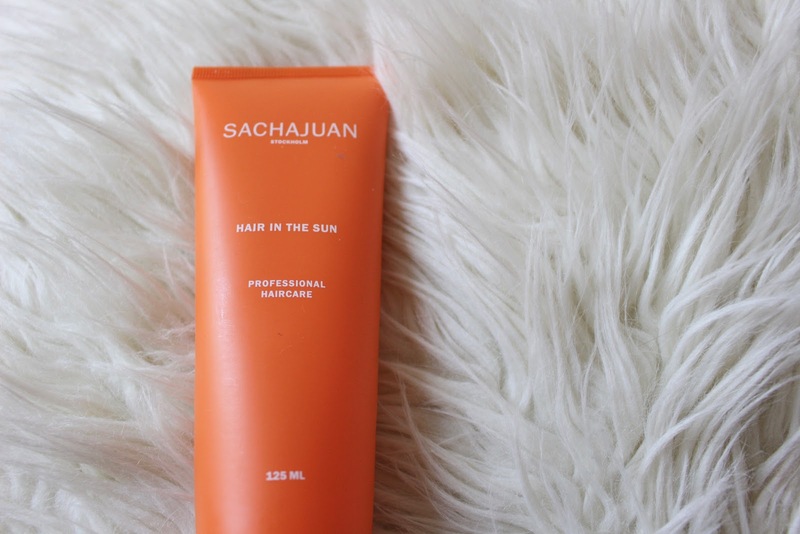 It's meant to protect your hair from UV rays (perfect for those who color their hair) but I use it to add texture and smooth out fly aways. I use it on wet and/or dry hair. Oh, and it smells really fruity, I love it. That was an extra chatty post. What're you loving this week?